Totally natural, completely undetectable custom hair restoration solutions for women. INTRODUCING REALLUSIONS®, the affordable women’s hair replacement solution for women experiencing female hair loss and thinning hair. Reallusions is a women’s hair replacement system that virtually becomes a part of you, in attaining a perfect natural result. 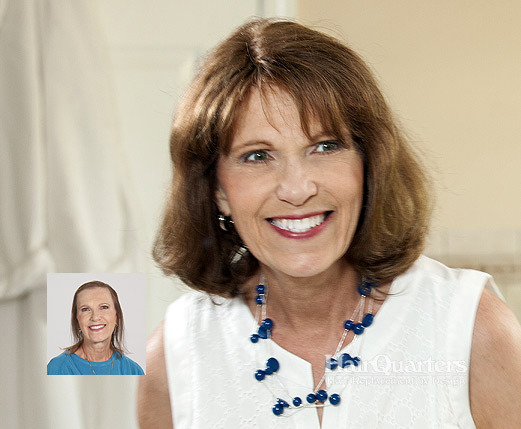 The Reallusions hair replacement system is designed especially for women that has successfully bridged the gap between surgical transplants, chemicals and conventional replacement. 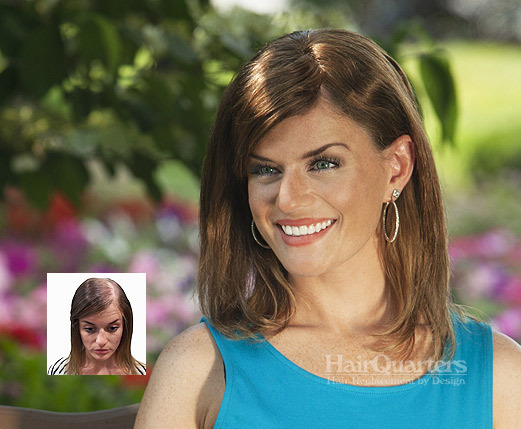 Not a wig or hair piece, Reallusions® offers a permanent solution to hair loss and thinning hair without surgery. 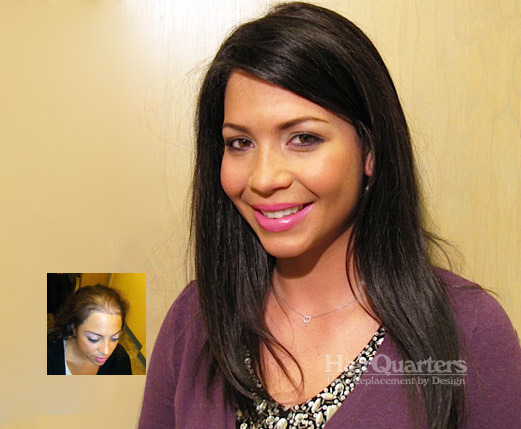 Unlike chemicals or surgery, Reallusions guarantees a significant increase in hair density. Reallusions is not a surgical procedure and it does not require a physician to administer it. However, because Reallusions is unlike conventional hair replacement processes, only those certified by Transitions International are allowed to perform it. Reallusions employs a new evolutionary improved non-invasive skin-like membrane grafted to your scalp’s own layers of skin. 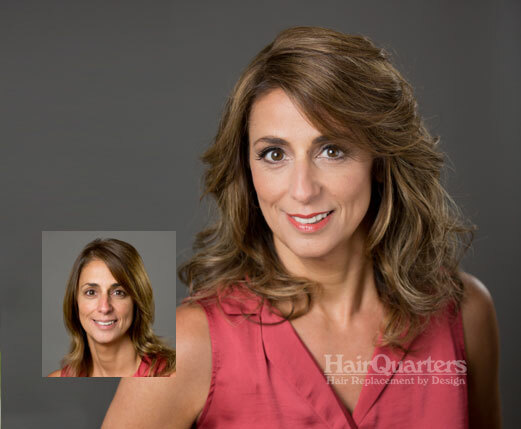 Reallusions is virtually a seamless transition between the growing hair and the hair that has been reconstructed, undetectable both visually and to a probing touch. Reallusions’ capability to replace hair in any area of the scalp, and recreate a totally natural frontal hairline, makes it ideal for sufferers of female pattern baldness and thinning hair. Unlike surgical techniques, Reallusions requires no “donor” area, nor is it’s success dependent upon the texture and curl pattern of donor hair. The Reallusions hair replacement procedure can be used to provide additional hair to those who have already undergone hair transplant surgery but want greater density. Reallusions® for women suffering from thinning hair and hair loss is truly a breakthrough of monumental proportion, proving extremely effective in the treatment of inherited hair loss as well as hair loss due to factors such as accidents medical treatment or systemic disorders. However, not everyone who suffers from hair loss is a viable candidate. Approximately 65% of the population are candidates. Candidacy can only be determined by a free, confidential 30-minute diagnostic evaluation performed at our Surfside Beach, South Carolina offices.  Now you can say goodbye to hair loss anxiety because eliminating female hair loss and thinning hair has never been easier with the Reallusions hair replacement system by Transitions International.